Integrated point of sale (POS) solutions have become part of the retail mainstream, and this has led more merchants to look for cloud-based tools to help improve their business management capabilities. For POS software developers, the cloud makes it easier to offer enterprise-grade solutions to small and medium-sized businesses (SMBs). For merchants, the cloud offers an affordable alternative to costly and complex software deployments. While the cloud offers cost and development complexity advantages to both ISVs and merchants, integrating on-site hardware and business systems (such as chip card terminals) with cloud platforms can be challenging. 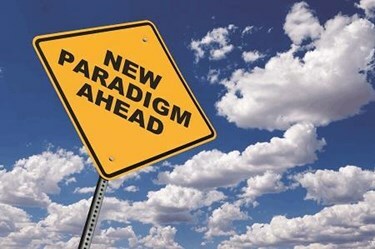 At the same time, cloud-based deployments are poised to reduce maintenance and support needs by as much as 40% (according to Gartner), which could degrade revenues for ISVs that haven’t developed a strategy for transitioning to a more service-oriented cloud model. Merchants are searching for ways to more seamlessly integrate traditional PIN pads, mobile POS devices, new card readers, and multi-function software. Cloud integration platforms can solve this challenge by linking cloud solutions, on-site software, and POS hardware, while easing compliance and lowering support costs. For ISVs, these platforms provide a mechanism for making it easier for merchants to adopt their systems while also creating new revenue opportunities for consulting, support, and value-added services. What does a cloud integration platform do? Cloud integration links one or more cloud-based applications with on-premise systems that are resident behind a customer’s firewall. While the solutions function similarly to middleware products, cloud integration platforms offer several advantages over traditional middleware. Cloud integration offers automatic software upgrades that are managed by the solution provider. This model also offers better governance of data as it moves between cloud and on-premise platforms. Cloud integration also provides a centralized development resource to ensure reliable compliance and integration management for the life of the system. Any compatibility issues related to platform or software updates are handled behind the scenes by the platform provider. These systems are sometimes referred to as integration platform as a service (iPaaS) solutions. They reduce the need for custom software development, manual IT support tasks, and individually built integrations because all of the integration links are created centrally. Cloud-based POS platforms help retailers mobilize their business, create real-time reports and alerts, receive software updates more quickly, and reduce the amount of hardware necessary to maintain on site. The latter can be especially important to retailers that currently have to invest in new hardware to keep up with evolving payment trends. Vantiv’s triPOS Cloud platform, for example, supports multiple device application programming interfaces (APIs) and a processing platform that can be used across different enterprise solutions. triPOS enables cloud processing and device hardware management. It simplifies the processing of pairing devices and workstations, and automatically supports a variety of payment types (like mobile wallets) with no additional device integration. The EMV burden is lifted by providing EMV processing across platforms and payment devices. The cloud platform can support processing across cloud, mobile, and PC environments and multiple devices. By selecting an integration platform with validated EMV certification and security features, ISVs can save months in development time and tens of thousands of dollars in cost. ISVs don’t have to manage expensive chip and PIN and PA-DSS certifications and validations. As with the EMV certification, the PA-DSS certification is handled by the cloud platform provider. The ISV and merchant are thus removed from PCI DSS scope. Depending the platform and level of integration, merchants can more easily accept credit/debit payments, often with lower processing costs, gateway fees, and lower interchange rates. Cloud-based solutions can provide more portability and flexibility, as the cloud integration platform allows ISVs and merchants to use a mix of public and private cloud services, and to integrate with multiple applications. Users are no longer locked in to custom-built integrations with existing software or hardware. This also makes the solution more sustainable over time. Even if the merchant has to update or change other on-premise software, the cloud platform can easily accommodate those changes. With point-to-point encryption (P2PE), EMV, and tokenization handled within the cloud platform, there is a reduced risk of fraud and data breaches. Sensitive customer and payment data is secured in the cloud. ISVs can provide enhanced support to their merchant customers, as the cloud platform enables faster updates with fewer custom integrations to maintain. The cloud platform makes it easier for ISVs to integrate and install the solution, and go live much more quickly. The cloud will play an increasingly important role in retail POS and payment processing, and ISVs should develop a coherent strategy for the use of cloud and on-premise systems. Integration will be an ongoing challenge, and cloud integration platforms will help ISVs securely bridge the business and payment solutions their merchant customers need without time-consuming and costly development and certifications. An iPaaS or cloud integration platform provides greater flexibility, cost savings, reduce support and compliance requirements, and helps enable a seamless payment environment. can easily incorporate new hardware, authorization platforms, and transaction types with no additional development expenses. That makes it easier for ISVs to provide an enhanced POS and payment processing experience for their merchant customers. With less time spent creating custom integrations and re-certifying their solutions, ISVs can focus on innovation and value-added services that will help create new revenue streams.